The name - 360 feedback system, also known as the multi-rater feedback system, is self-explanatory. The basic idea is that various reviewers from different levels assess the performance of an employee, or you - the manager. More leaders use this tool because the performance data come from entirely different sources (i.e. reviewers). It helps to stamp out the menace of bias, which is inherent in the traditional evaluation process. The organisation decides who sits on the evaluation panel, depending on management objectives and organisational strategy. This group can consist of both internal and external sources (i.e. personnel). Internal sources: Anyone who interacts sufficiently with the person who will receive the feedback. Evaluators from inside the organisation can be a combination of peers, subordinates, immediate supervisors, and the employee herself (self-rating). 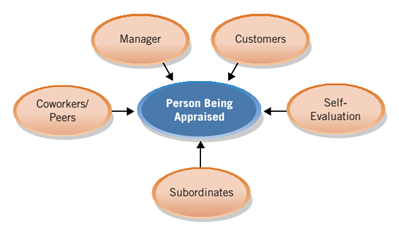 External sources: After the idea of 360 appraisals had taken off, organisations started to include external raters in the mix. 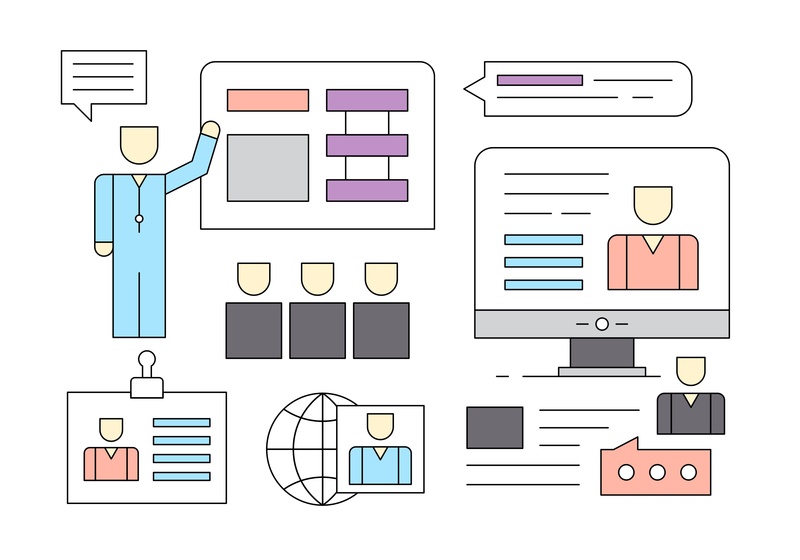 Outside stakeholders like customers, external partners, and even suppliers can provide feedback on the performance of an employee. The multi-dimensional nature of a 360-feedback evaluation reveals weak areas which can hamper your ability to plan and execute. In the long term, they affect the continuous success and growth of the business. Just like a knife, it can serve your purpose (such as chopping vegetables) or damage the bottom-line (like slashing your fingers) if not used in the right way! Remove fear of reprisal: Whoever the evaluators are, tell them that their honest feedback will not lead to negative consequences. It is critical to eliminate this fear if you want leadership assessments to work. Take emotion out of the equation: The results of the evaluation may trigger your emotions. Anger is one of the most common reactions. Prepare yourself for the worst, resolve not to react to any feedback provider, and remember that you asked for honesty. Seek professional support: Get a consultant or coach to help you translate honest feedback into positive changes in your leadership style. 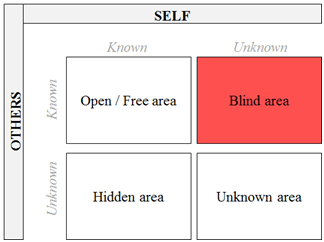 360 feedback can be a part of a very useful self-evaluation tool called the Johari Window. Here you can see that the top-right quadrant is the ‘blind area’ - the space containing your weaknesses that other people can see, but you cannot. Another useful tip for self-evaluation comes from Louise Parkes at the Voice Project. Louise suggests paying attention to areas where you think highly of yourself, but others rate you poorly or not as highly. He implies that these areas are your blind spots. Performance management gurus always warn of the potential downsides of 360 feedback if it isn’t planned meticulously. Seek professional support and plan every detail well before time. You will have many important decisions to make, including the members of the evaluation team, the frequency of feedback, and measurement mechanisms. It is absolutely critical for the success of 360 feedback implementation if you clarify the aims and goals. Having clear targets is not enough, you need to write them down in absolute and precise terms. Those terms would act as the powerhouse for the ambitious project of implementing it across your organisation. In his landmark HBR article on 360 feedback, Professor Maury A. Peiperl emphasises the importance of clear purpose and scope for this initiative. 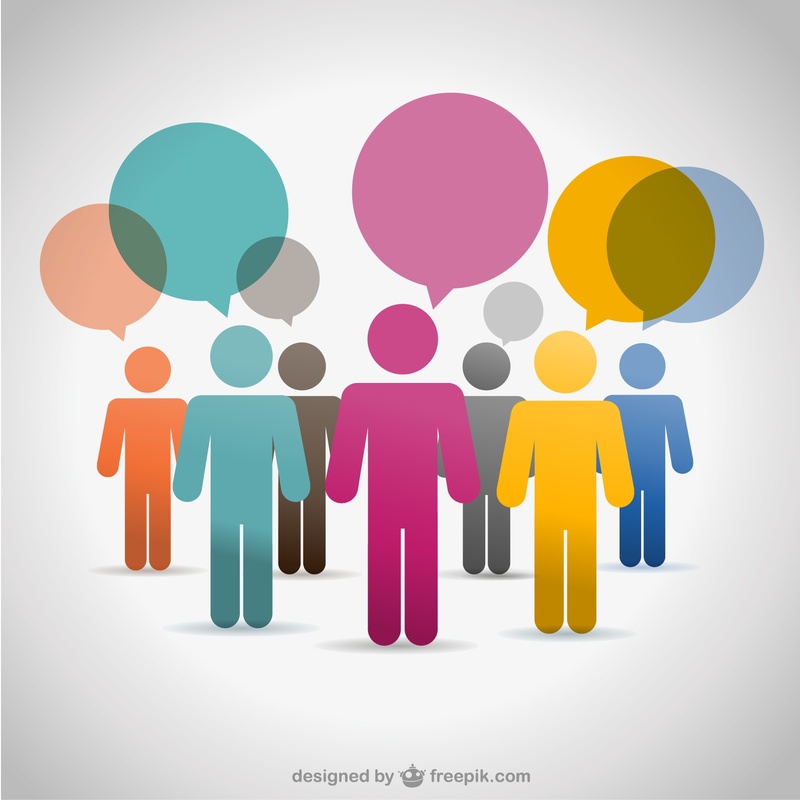 Get your organisational culture ready to plan 360 feedback! According to Canada’s HR Council, a company culture that discourages honest conversations will never yield positive results from 360 feedback. You need to have values and practices that support such radical initiatives. That’s not an overnight job, so start early. Even the most bespoke appraisal is bound to fail if you don’t address your employees’ concerns. After all, they are the end-users of the evaluation system. The best strategy to onboard employees is to communicate your purpose and then make all-out efforts to address any concern regarding the targets. Doubt, fear or apprehension will prevent people from embracing the changes brought by a 360 review. An effective way to quell employee’s anxiety is to hold meetings where anyone can seek answers to his or her questions. You can also designate a focal person with a customer-service attitude and is well-versed with the new system. That champion can take employees’ worries to the top management and help iron out the doubts. Anyone who will interact with your system must be fully conversant before you launch. This group includes HR personnel, supervisors, managers and the top executives of your organisation. It is best to hire professionals to walk them through the process and its core purpose before handing it over to your employees. Once you set a clear goal, build a befitting culture and develop appropriate mindsets among employees, it's about time you rolled out the 360 performance appraisal program. There is just one more important precaution. An abrupt change in your current performance management system can spell serious trouble. A wiser approach is to introduce the idea gradually – one division at a time. Give it a test drive in a single unit for an adequate duration before introducing it to another. This incremental deployment will let you identify the shortfalls and improve the system before a universal implementation. The key is to monitor the process continuously. You must have a mechanism to document every problem that your 360 feedback system faces during its first testing phase. Once an issue is identified, analyse it with care. The information gathered during the monitoring phase becomes the input for putting this system on a continuous improvement track. Instead of solving problems on a superficial level, you should go back to the drawing board to make changes in the system. By sorting out these hiccups, you will be improving the whole process and avoiding similar issues in the future. Let me make this very clear: Implementing a 360 feedback appraisal system is not an easy task. Success in this regard demands clarity of vision, unwavering commitment, lots of time, and unrelenting energy from the leaders. Before you make the final decision to go ahead with it, take your time, do your due diligence, and make a move sparing no intention to turn back.